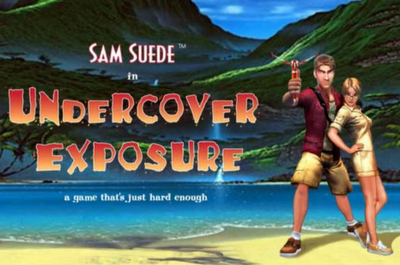 Sam Suede in Undercover Exposure is an upcoming comedy adventure game, coded by Wizarbox, with a game design by Al Lowe (Leisure Suit Larry creator) and Ken Wegrzyn, and a script and final game design by Steve Ince (Broken Sword 1,2,3 Director, Art Designer, So Blonde creator) and Ken Wegrzyn. The game is expected to be released on PC, Mac, iPad, iPhone, and iPod Touch in 2013. The game can be pre-ordered for $15 (or more for some bonus goodies) at the Sam Suede kickstarter.